When you want to protect your family or business Life Insurance is a good place to start. It can provide financial security to those who matter most to you so they have one less thing to worry about during difficult times. Some policies also build cash value that you can use if you need it. Annuities are a powerful way to save for retirement. 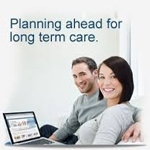 They are specifically designed to help you reach long-term financial goals. When you think about your retirement, do you worry that you might run out of money? That you might outlive your savings. Or that your investments might not last as long as you do? If you live to 100 or beyond, will there still be enough for you to live independently? Understanding the types and differences of annuities available to you can be complex and overwhelming. Contact us today to find a strategy that’s right for you and your goals. Planning now can help you gain the confidence knowing that you are covered. Contact us today!